It seems like quite a decade since I last made a post via the utopian.io tag. Infact, it has so far been a month past to be precise. Quite a lot has happened in my absence which was as a result of work related issues. I can see my colleagues in this area like harry-heightz, igormuba and Princekelly pushing forward without giving up despite the low price of Steem. Kudos to everyone, the moderators and community managers as well. Yes, I have been absent from writing, but I have within the period of my absence, read through articles and blogs on Steemit, especially those with the utopian tag. I have also been able to carry out a number of transactions without hitches. All of these have been done on the go with the help of an app – The new Esteem Mobile. The new eSteem mobile was recently released by @good-karma and the team of developers behind eSteem. This app was released to replace the previous eSteem Mobile legacy we were previously using. It was with the new eSteem mobile I was able to maintain a sort of offline presence on Steemit on the go. Let’s now look at what this app brings to the table. 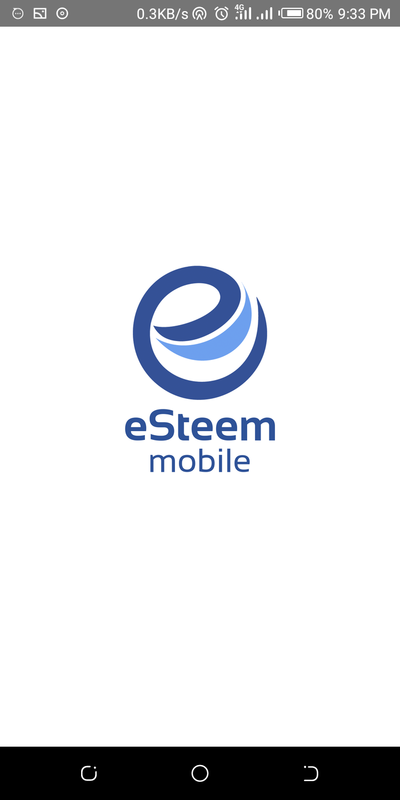 The New esteem mobile is a decentralized app built on the Steem blockchain via which members of the community can make their posts or carry out transactions smoothly. These activities are done free of charge while posts made via the platform by users are upvoted by the eSteem team. Blog posts, picture posts, memes and videos are some of the contents allowed via the eSteem app. The new eSteem app is a total push away from the outlook and feel of the previous eSteem Mobile legacy app. This new esteem mobile app is built with a better interface, and can easily rival some of the available social media apps on the web sphere such as the likes of Instagram, Facebook, Twitter and a host of others. There was also a focus on security in this release. To use this app as a first timer, you’d have to create a pin code in addition to entering your Steem keys. Once that is done, subsequent visits would require you to enter only your set pin code. To begin using the esteem app, you need to first login with your Steem username and keys. To this end, two different logging methods have been provided. One is the regular login where you need to input your username and your active key and click on the login button to be signed into the app. The second option is to sign in through Steemconnect. Steemconnect is a dApp built on the Steem platform that allows users login to third party apps without compromising their login details. That is to say, Steemconnect is security oriented. Once you choose the Steemconnect sign in method, you are immediately redirected to its login page where you are required to authorize eSteem to use your posting role. Clicking on the continue button, you'll be redirected to the sign in page where you have to input username and password before clicking on the sign in button. With the newest eSteem app, you can easily browse through different feeds on Steem without hassles. As a logged in user, you're eligible to view your user feeds which is populated by post from members of the community that you follow. You can also view newly created blogs on the blockchain via the “new” feed button. 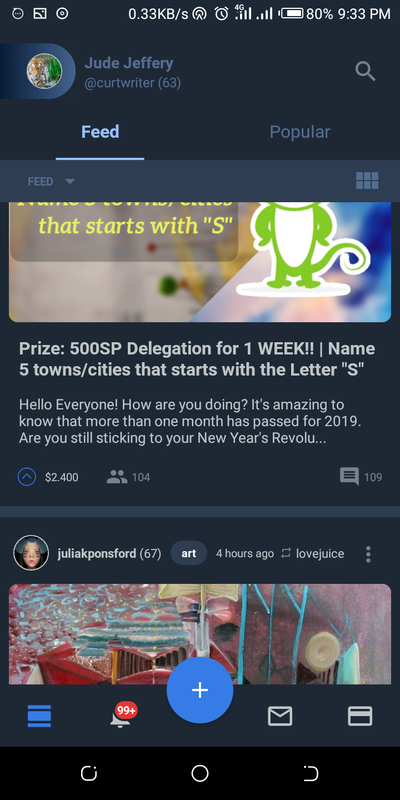 Trending (Popular) posts are those with the highest worth of upvotes and you can view them in the trending feed. 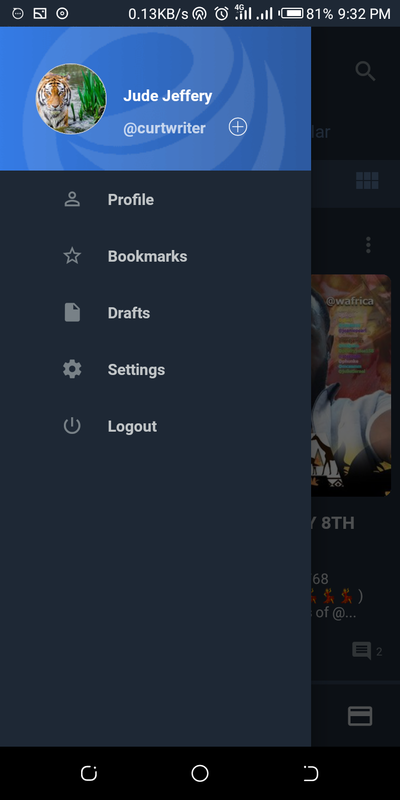 One yet important feature of the app is the multiple account feature. Let's say you have multiple accounts on the Steem blockchain - scratch that - let's use a practical example. There’s @good-karma, who owns and runs the @esteemapp account. There is also @elear who is the founder of the utopian dApp and runs the utopian-io account. With the newest eSteem app, @good-karma, can log into his account and also log into the esteemapp account on the same app. @elear can also log into his own account and the utopian-io account once and for all without the need to provide a password at every login. The beauty of this feature is that it completely eliminates the need for the use of two different devices or different browsers or apps for your two or three accounts. Also, once you are logged in on both accounts, you do not need to provide a password on every login. Just provide your set pin code and you are good to go. Another great feature present on the new eSteem Mobile app is the ability to upvote a blog with percentage. With this feature, you can click on the upvote button on a post and choose the percentage upvote you wish to give that post. On the Steemit platform, only users with 500 Steem Power and above are usually allowed that privilege of a percentage button or slider. However, on the new eSteem mobile for Android and iOS devices, users with any amount of Steem power can make use of this feature. This feature is most especially a wonderful one for users who are part of upvote trails. It allows them the opportunity to upvote more content while utilizing little of their Steem power at a time. Thus, they are able to reach more posts than they would have if they had not been allowed the opportunity to reduce their voting percentage via the voting slider. One beautiful feature that was availed users in the previous eSteem Mobile Legacy app was the different languages option. On the previous app, users of various native languages could easily switch the language from the default language which is English to any other language of their choice. Now, this language switch option has also been made available on the new Esteem Mobile app. The first version of the app only had the English and Turkish languages for a start but other languages will surely be updated soon. Not everyone can speak or read English properly. Some people prefer to read or access items in their native languages. 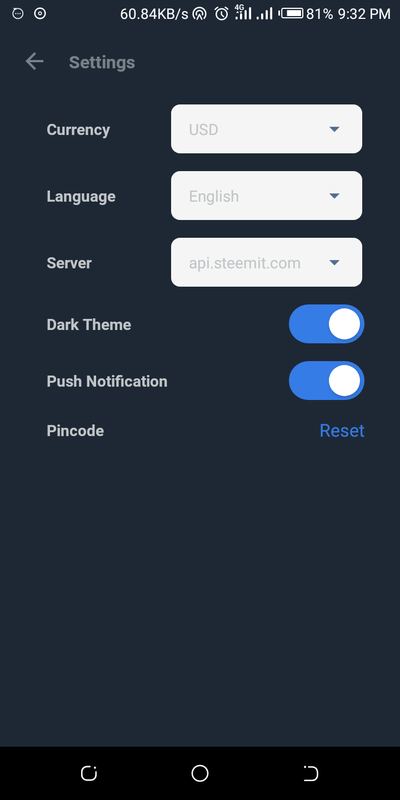 This language switch option provided by eSteem gives them the opportunity to utilize the Steem blockchain via the eSteem app without any constraints arising from language barriers. The night mode feature is another great feature that has been implemented in this new Esteem mobile application. Normally, the theme colour of the eSteem app is white. At night, or in dark periods or spaces, the light is usually so bright and with the close contact to your face, it could result in damaging consequences in the future. The night mode feature comes in quite handy in this period as it allows you dim your screen thus giving it a darker screen, with white coloured letters. To effect this change, simply visit your settings page via the app. Select the dark theme and the change is effected immediately. You can begin enjoying browsing at night without putting undue stress on your eyes. The new eSteem app remains a very critical upgrade for eSteem as it is poised to place this dApp in the leagues of other high ranking apps. A lot of features are still missing but they’d surely be added as time goes on. I love this new app for its sleekness and ease of use. In my next post of this series, I’d focus more on other great features of the new eSteem mobile app. Thank you for your contribution. Your review is rather informative and well-illustrated with quality screenshots. Keep up the good work. I must admit that I was impressed by the vast amounts of information provided. You went into detail about the key features of the application that were described in your review, and even took the time to share information about your personal experience of using this tool; this is the kind of content we like to see in blog posts. Moreover, the post contains your personal knowledge and views, so it goes without saying that I enjoyed reading your work. That said, there were issues of style and proofreading. Regardless, I appreciate the time and effort you put into your work. I look forward to your next contribution.